My husband and I bought one in 1959. It held a bottle of milk and a pat of butter, so it must have been the smaller version. I have an OsoKool mk 2 for sale, excellent condition. Im in Kent United Kingdom. 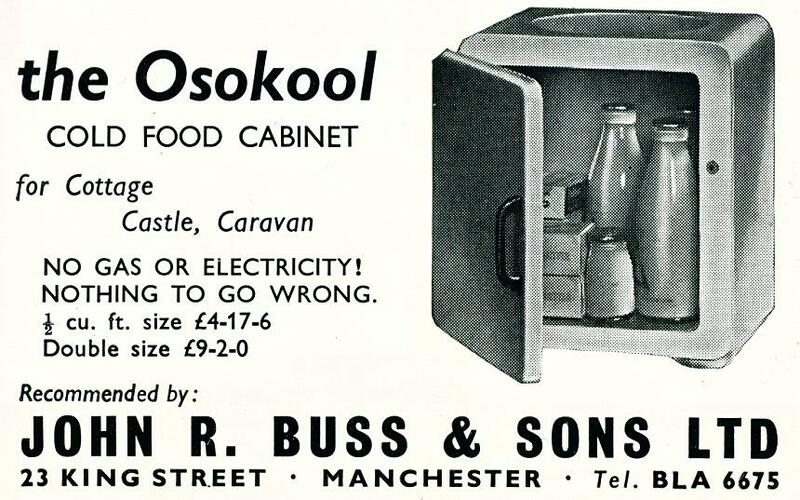 Hi, I have recently cleaned out my parents loft and came across a 'Osokool' fridge It is 'Osokool Minor' It is a cube with a green plastic door with a round berkalite knob, with instructions actually printed on the knob. You have to turn the knob to open or secure the door. It is lined with silver. I have the instructions, and the original price was £6.25np. There is a card with instructions on one side and a list of hints on the other. I am looking to sell this item. If you are interested, please e'mail me.